In a future preparing to be moved electrically and autonomously, e-mobility and electric vehicles is one of the most urgent and most heatedly debated topics of today. This year’s PLM Innovation Forum in Munich will focus on this dynamic marketplace and will provide a platform for inspiration, reflection, debate, and networking. Next generation PLM technologies are encouraging new start-ups to break down the long established market entry barriers that have protected large automotive OEM’s for many years: using identical software, accessed through the cloud, that delivers design, simulation & development and manufacturing to a fraction of the resources and at a fraction of the cost. With a clean sheet approach these new businesses are focused on solving big issues and redefining routes to market as they do. Yet the automotive industry is bound by strict legislation covering items such as safety and there will be more hurdles to jump than might initially be considered. OEM’s are also not standing idly by as they look to the new ‘joined-up’ engineering technologies to reduce their costs, sharpen their new products and significantly reduce time to market. Integral Powertrain are ideally placed to deliver their unique experience combined with innovative business processes, such as Intelligent Engineering, to support OEM’s and new start-ups alike. Why not join Luke at this year’s Electric Vehicles Forum in Munich 4th July and learn how digital transformation, and the latest PLM technologies, has enabled an innovative ICE powertrain business to become a global leader in high power density electric motor technologies. You will hear how Integral e-Drive use the 3DEXPERIENCE platform to enable new market entry, product diversity and increasing the number of programmes that can be handled concurrently. This year the PLM Innovation Forum, hosted by Intrinsys and TechniaTranscat, will focus on the e-Mobility marketplace. It will showcase the digital transformation enabling platform, 3DEXPERIENCE 2018x. It will illustrate and explore, with user presentation and live demonstration, how it is enabling OEM’s and dynamic news start-ups to successfully address this most challenging market. 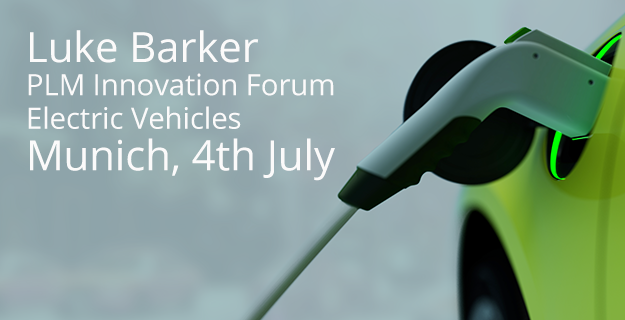 To find out more about the free to attend PLM Innovation Forum – Electric Vehicles and to reserve your place please visit the forum event page.